Consistent innovation, coupled with an alert understanding of customer's needs & demands, makes us the most renowned manufacturer and supplier of Multihead Weigher. The offered range is strongly built with quality components and the latest technology. We assure that our offered weigher is outstanding on counts of durability and quality. Keeping in mind the diverse requirements of our clients, we provide the entire range in various customized options and at affordable price. Accuracy 0.2 to 2 Gms. Max weighing speed 70 Pouch per Min. Products Tea, Coffee beans, Rice, Sugar, Toffee, Chips, Flakes, Pulses, Snack food, Granules, Biscuits. Weighing capacity 10 to1500 Gms. We put forward a broad machine of 10 Head Multihead Weigher that is manufactured in adherence with the set industry standards using advanced technology and optimum quality components. Filing system 10/14 heads loadcell combination weigh fillers. Packing Speed upto 80 Pouches / Min. (Depends upon product & weight). Being the leading names in the industry, we are offering an extensive machine of Multihead Weigher Pouch Packing Machine. Keeping track of industry defined guidelines, we manufacture the provided pouch packing machine by making use of quality tested components and contemporary technology. Moreover, this machine is made obtainable in varied technical specifications to suit variegated demands of customers. 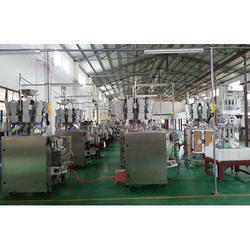 Moreover, this pouch making machine can be purchased by our clients at pocket-friendly prices. 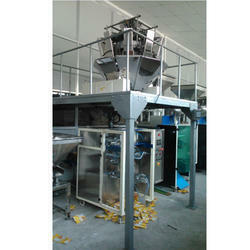 We are the manufacturer of 14 Head Multihead Weigher.